Close Up Of A Fire Salamander Stepping On Pebbles, After Rain. Black Amphibian With Orange Spots The Most Common Species Of Salamanders. Macro From The Side. Banque D'Images Et Photos Libres De Droits. Image 119145097. 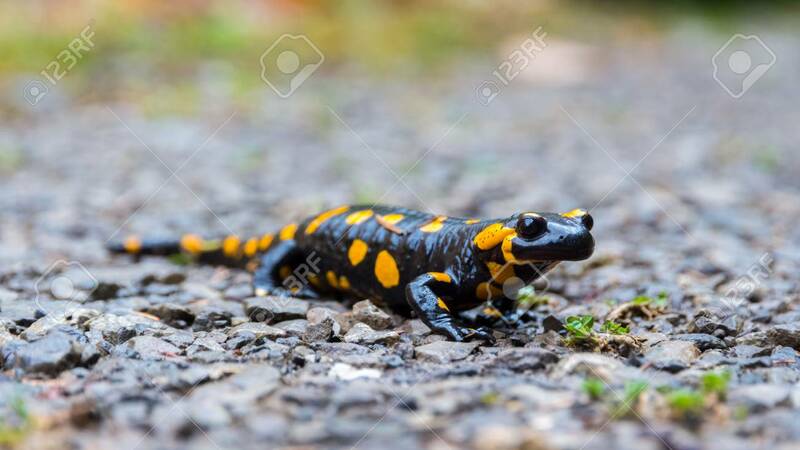 Banque d'images - Close up of a Fire Salamander stepping on pebbles, after rain. Black Amphibian with orange spots the most common species of salamanders. Macro from the side. Close up of a Fire Salamander stepping on pebbles, after rain. Black Amphibian with orange spots the most common species of salamanders. Macro from the side.